The logistical drivers are facilities, inventory, and transportation. Inventory denotes all raw materials, WIP, and finished goods in a supply chain. On the other hand, transportation involves moving inventory from point to point. Information is data about facilities, inventory, transportation, costs, prices and customers throughout the supply chain, also gives shipping option to managers. Pricing drivers determine the price of goods and services which the supply chain produces. Supply chain managers can consider the price change option in some cases. On the other hand, some costly furniture makers in America keep the inventory of small quantity but greater variety at the sales outlet. 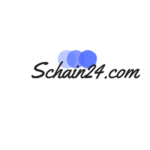 There are some supply chain drivers which are responsible for the performance of a supply chain. 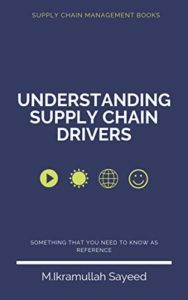 We need to have a good understanding about supply chain drivers to understand supply chain performance. 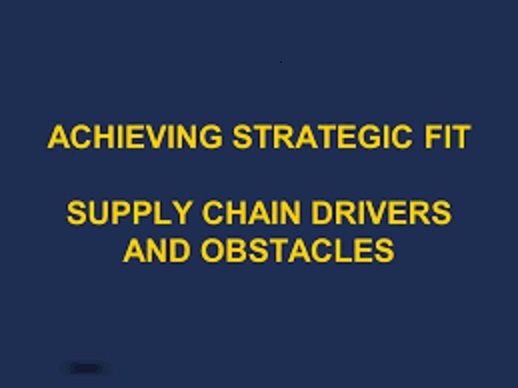 Absence or weakness of some of the drivers can be an obstacle to the supply chain. The logistical drivers are facilities, inventory, and transportation. The two main facilities are storage and production sites. Inventory denotes all raw materials, WIP, and finished goods in a supply chain. On the other hand, transportation involves moving inventory from point to point. Information, sourcing, and pricing are cross-functional drivers, which determine in some ways the performance of a supply chain. Information is data about facilities, inventory, transportation, costs, prices and customers throughout the supply chain, also gives shipping option to managers. Sourcing is the particular supply chain activity should be done inside a firm or procures from other entities. 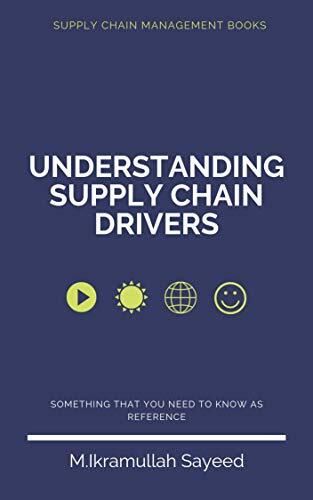 Pricing drivers determine the price of goods and services which the supply chain produces. Early orders are less likely if with lead time price does not vary. Without investing on facility, manufacturing etc. supply chain managers can consider the price change option in some cases. 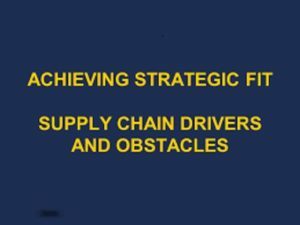 While we attempted to define the drivers, the logistics and supply chain management is delineated. The use of logistical drivers is used to increase supply chain profits. Logistical drivers are of great importance. On the other hand, cross-functional drivers are getting more and more importance in raising supply chain surplus. But the drivers do not act themselves. They interact with each other to determine supply chain performance. A location decision that accentuates responsiveness would be one where a company establishes many locations that are proximate to its customer base. An expeditious-aliment chain like McDonald’s uses location to be very responsive to their customers by opening up lots of stores in high volume markets. Efficiency can be achieved by operating from only a few locations and centralizing activities in prevalence locations. An example of this is the way Dell accommodates astronomically immense geographical markets from only a few central locations that perform a wide range of activities. It is required to simulate this decision in SCM by the way you locate your facilities, and the storage capacities and operating expenses you define for those facilities. As the furniture is sold by Wal-Mart in the American Market they choose the low-cost furniture from Asia and uses a low-cost shipping. So that, they can provide low price, also acceptable quality furniture. Variety is low in number and they stock finished goods. Their goal is to be efficient through this strategy. On the other hand, some costly furniture makers in America keep the inventory of small quantity but greater variety at the sales outlet. They use information technology to take an order and make quick delivery of furniture. So, they do not need a great quantity of inventory at their sales outlet. Their manufacturers are giving quick delivery and using a high-cost shipping. This way they become more responsive. In terms of responsiveness and efficiency how much a supply chain can perform we must examine both logistical and cross-functional drivers: facilities, inventory, transportation, information, sourcing, and pricing. Sometimes, “location” is also considered as a supply chain driver.These drivers interact with each other to determine the supply chain performance. A company is not competitor to another company in a supply chain. As for example, Walmart and its suppliers would be competitors to Carrefour and its suppliers. It is a matter of debate how much integration is possible between them in such cases.